If you’ve been reading these pages, or virtually any reputable blog or book on investing, you’ve probably heard of the need for diversification when investing. For example, you’ve probably heard the guy on the radio, pitching his investment products, saying that you need proper diversification. Obviously, with everyone saying that it is needed, it is important. But what exactly is diversification, and how do you get it when investing? Today we’ll talk about what diversification is and how to use diversification to protect yourself and improve your returns. 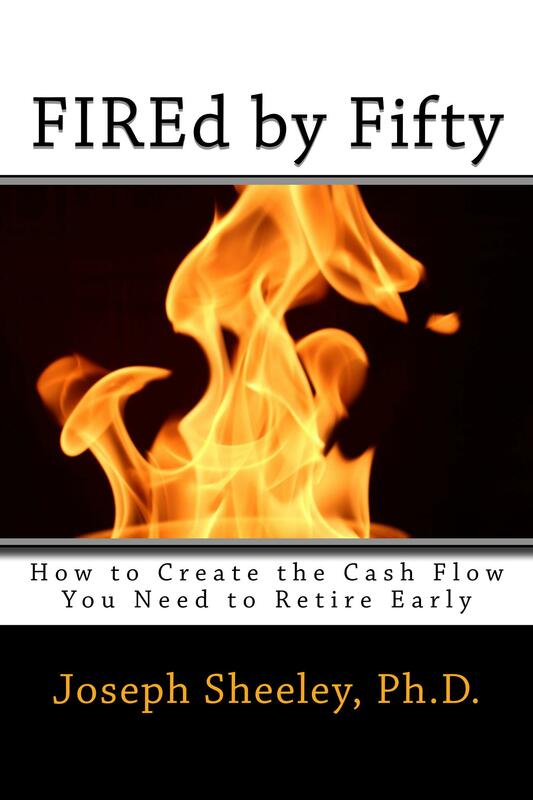 If you enjoy The Small Investor or you just want to learn how to become financially independent, please consider picking up a copy of my new book, FIREd by Fifty: How to Create the Cash Flow You Need to Retire Early This is the instruction manual on how to become financially independent. Diversification means to spread your money out among many different investments to both reduce your risk and increase your returns. To understand how this is accomplished, you must understand the risks associated with investing. These risks are 1)single asset risk, 2) sector risk, and 3) asset class risk. Let’s look at each of these and see how to properly diversify for protection. Let’s say that you want to create an income stream to pay for your expenses in retirement. You figure that real estate may be the best option, so you buy a house with plans to rent it out. Everything is going great and you’re collecting $1500 per month, which is enough to cover your food, utilities, and some other expenses. But one day you get a call from your tenant who tells you that the house has started to take on a musty smell. You investigate and discover that a pipe was leaking from the upstairs that has caused mold to grow in several of the walls. You’ll need to ask your tenants to move out for a couple of months while you spend thousands to have drywall replaced and beams sanded. Not only have you lost your income source for a period, but you also have lost some of your equity since you’ll need to pay to have the house repaired. This is an example of single asset risk. Because you put all of your investment in one thing, you are at great risk if something happens to your one investment. A common case of single asset risk is when people invest everything in one company’s stock. You could also put everything in the bonds of one company, buy one piece of real estate as in the example, or even keep everything in a CD in one bank. If something bad happens, you might lose your whole investment. The way to eliminate single asset risk is to buy several different assets. For example, if you were to buy stock in ten companies, putting 10% of your portfolio in each one, you would only lose 10% of your account value if one of your companies had a significant event occur. Spread your investments out to 20 companies and now you could only lose 5%. Many people buy mutual funds as a way to easily spread their investments out to 100 companies or more. A great source of information on mutual fund investing is The Little Book of Common Sense Investing: The Only Way to Guarantee Your Fair Share of Stock Market Returns (Little Books. Big Profits) . A second type of risk is sector risk. This is similar to single asset risk, except here an entire sector of the economy declines, taking all of the assets, good and bad, in that part of the economy with it. For example, perhaps the restaurant industry goes through a rough patch during a recession where people stop going out to eat. As a result, the stock of McDonald’s, Texas Roadhouse, and Flemmings all decline in price. As another example, when TransOcean punched a hole in the bottom of the ocean in the Gulf of Mexico a few years ago, releasing millions of gallons of oil and killing everything off, shares of all of the deep ocean drilling companies sank. This included my shares of Diamond Offshore, who had nothing to do with the accident but was punished anyway because of fear of new regulation and restrictions on deepwater drilling. The way to eliminate sector risk is to invest in several different sectors. Ideally, these sectors would be uncorrelated, which means misfortunes in one do not affect the other. For example, autos and gasoline refiners might be correlated, but diamond mines and tuna fishermen would not be. The easiest way to prevent sector risk in stock investing is to buy broad-based mutual funds such as a total stock market fund or an S&P500 fund. 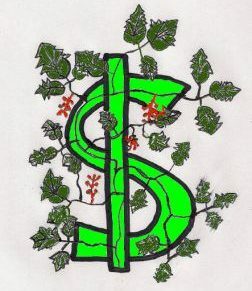 Avoid buying funds such as Exchange Traded Funds (ETFs) that target one sector of the economy. If you do buy individual stocks, pick the best companies in several different sectors rather than buying several companies in the same sector. If you’re investing in real estate, rather than buying several properties in one location, buy in different parts of town or, even better, in different cities. One of the easiest ways to diversify in real estate is to buy Real Estate Investment Trusts, or REITs. These are like mutual funds of real estate properties, where an REIT may own 100 or more properties. Because many REITs focus in certain sectors of the real estate industry, such as hotels or office parks, it is even better to buy mutual funds that buy several different REITs. To learn more about REIT investing, see Investing in REITs: Real Estate Investment Trusts by Bloomberg Press. The final type of risk is asset class risk. An asset class is something like stocks, bonds, real estate, and art. Within the main asset classes are subclasses like small stocks, large stocks, corporate bonds, government bonds, and so on. Often entire asset classes will decline in price during periods such as in 2008 when real estate fell through the floor. Another example is the period around 2000 when the Dot Com bubble burst and the whole stock market fell by about 40%. Here, investments are spread out into different stock asset classes (large, small, and international), as well into real estate and bonds. To understand more about reducing asset class risk, read about the Master Mutual Fund Portfolio. Using proper diversification is key. Not only will it reduce your risk, it will also ensure that you are always invested in the part of the markets that is doing best at any given time. This reduces the risk that your returns will not match those of the broad market over long periods of time, which addresses a final type of risk: Opportunity risk.